It has been an exciting week around here with lots of activity and people stopping by in hopes of winning this very generous gift card!! I enjoyed reading all of the comments and hearing what you would do if you had the opportunity to splurge on camera equipment. It is always fun to dream, isn't it? 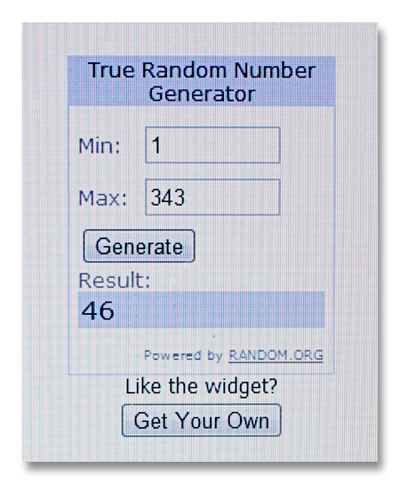 You are lucky number 46! Looks like you are going to be able to upgrade that camera. We cannot wait to see what you choose to replace your Rebel! Please remember if you are in the market for Camera equipment of any kind, stop by a Cardinal Camera location or their online store. When you checkout use the discount code "HALFSKY" and 5% of the proceeds will go back to the foundation that is near and dear to my heart, Half The Sky! They make a huge difference in the lives of so many children waiting in China...... I stare at a pretty little face every single day that is a constant reminder of all the good that comes of their programs. Another huge THANK YOU to Kurt at Cardinal for this incredibly generous giveaway and to my lovely friend Karin for making it all happen!! Have a wonderful weekend everyone and Congratulations to our winner, Sandy!!! CONGRATULATIONS SANDY!!! You are sooooooooo deserving of this great gift!!!! !I am soooooooo happy for you:) Can't wait to hear what you decide on!!! Thanks again Lisa, this was such an AWESOME give away! YYYIIIIIPPPPPPEEEEEEEE!!!! I can't tell you how excited I am. I am jumping up and down and running through the house.... my sleeping 6 yo does not appreciate what just happened. All she knows is that Mommy shrieking with joy woke her up. LOL!! Lisa I need to consult with you! Thank you so much. 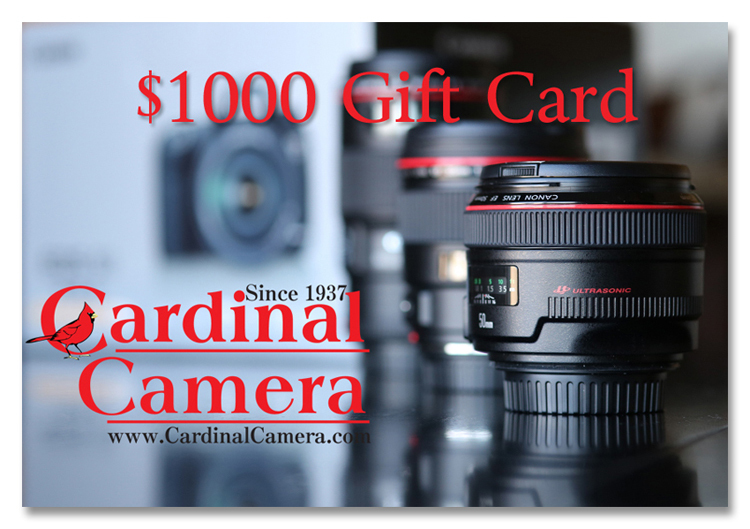 Wow congrats to Sandy amd thank you to Cardinal Camera -love that they did this give away! Congrats Sandy! Can't wait to see what you choose! Lisa this was an awesome giveaway! The best I've seen so far, out of anyone! :) can't wait for another one! Congrats Sandy - please keep us posted on your choice(s) and the photos you take with your prize! Thanks again for doing the giveaway! As a fellow Rebel owner I am so excited and happy for Sandy! Woohooo! Thank you Lisa and Cardinal Camera for such a fun and exciting giveaway! Congratulations Sandy!!! Enjoy that new camera!! Congratulations, SANDY....you are about to feed that photography addiction....be careful...its rather insatiable but this should help you get where you've been dreaming for awhile! Use your new goodies in Wonderful Health! Congrats Sandy!!! Lisa, thank you for having such an awesome giveaway! Oh congrats Sandy, enjoy shopping! And well done and thanks Lisa for doing the giveaway, it was fun to see the 000's of comments come in! Congrats to Sandy!!!!! Still so shocked by such an awesome giveaway. So exciting! Congratulations Sandy!!! Have fun with your new toy! Thanks for offering this awesome prize Kurt and Lisa for hosting!! Congrats to Sandy!! What an awesome prize!! Definitely a WIN-WIN both ways!! This is so awesome. ENJOY SANDY baby!!!! Do You Need to Add to Your Bag? Favorite Photo Friday - "The Covered Bridge"
Sunday Snapshot - "The Field of Dreams"